Be part of the race for space. We showcase your simulation capabilities. We make your B&P costs affordable. We place your talent where needed. 81% win-rate: We partner with you to win! Let our SMEs win you contracts. Making It One Of The Most Trusted & Reliable Proposal And Grant Development Companies On The Market. During the past few years, GDI Consulting has achieved a track record of winning proposals showing our capabilities and expertise in this business. With over $6 billion worth of proposals and grants won and over 160 successful multi-million dollar proposals and grants, you can be sure that you are putting your money in the right place. Our technical writing and government document preparation capabilities are also outstanding. 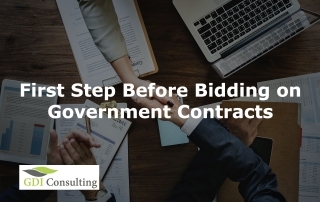 With GDI Consulting’s vast experience and its proven track record of successful government bids, proposals and effective grant writing services, your company can concentrate on executing the awarded contracts, instead of spending time tackling the obstacles in the bidding process. In fact, leave the bidding process to us and we will take care of your Government proposal/grant writing from cradle to grave! GDI Consulting’s services take you from the bidding stage all the way to the execution and delivery stage of your projects. From Government Bids and professional Proposal writing to grant development and management, we are there to listen to our clients and integrate their requests into our government proposal writing services on a regular basis. Our company is not only built by us, but also by our clients. 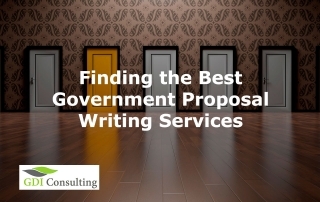 Contact our expert Federal Government proposal writers now! GDI Consulting provides outstanding proposal writing services for Government contracts and grants,higher education, and other sectors with a very high win ratio. We provide capture management services to companies who want to ensure a successful bidding stratgy with maximum efficiency in time and energy resources. Leave the bidding process to us and concentrate on your project execution. GDI Consulting provides outstanding grant development services for Federal, State, and Foundations grants for non-profits as well as businesses with a 78% win-rate. 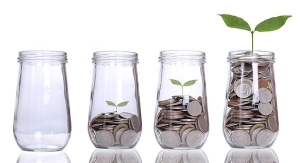 Let us prepare your grant proposals on time and with quality. An effective Red Team Review can change a losing proposal into a winner. 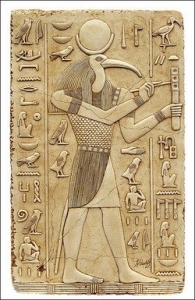 Let GDIC help guide this critical review for the best results. GDIC, as part of her proposal experience, has extensive experience in achieving maximum value from proposal reviews. Market intelligence should be a key component of a company’s growth strategy. GDIC can assist in this critical market analysis, including how to obtain good intelligence on competitors, the value of similar contracts, and developing a strategy to drive up your P-Win. WOSB Federal Contracting Program was created in order to increase the number and types of trades that Women-Owned Businesses could compete in. 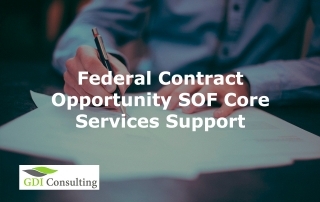 By law, the Federal Government is required to award a percentage of all contracts to qualified WOSBs, and WOSBs automatically receive evaluation preference over competing non-WOSBs. SDVOSB & VOSB programs exist to help the veteran population create business opportunities after their active service has expired. Many of our staff and consultants are veterans themselves and can help you find, select and win such opportunities. Get the most out of your 8(a) status. Contact GDIC today to see how we can help build your business. GDI Consulting offers a wide range of proposal writing and proposal support services. Our staff are highly skilled in assisting clients throughout the process of the RFP. Providing day-to-day oversight, and resolution of issues related to personnel, management, technical, cost and other relevant topics. Our proposal staff include proposal managers, proposal writers, and graphic artists who are all knowledgeable about the federal proposal process. They are all hands-on in the development of solution frameworks, proposal content, and graphics concepts. GDI Consulting can provide your company with an experienced capture manager to plan and lead your bid processes. At our company, capture management means doing everything necessary, from pre-REF phase all the way to bidding and post bidding phases, to ensure winning an opportunity. We help you select the opportunity, assess and qualify it to be worth your resources, and then get you through the pre-RFP, bidding, and post-bidding phases using an experienced capture manager who will be tasked to your case. He/she in turn will head a team of experienced staff to manage the bidding process throughout its 3 phases. Our capture manager will in turn report to one your management personnel to get direction and support. • Raise overall win probability. • Winning more business from fewer, better-qualified opportunities. • Assess & qualify the opportunity. • Prepare the capture plan and capture team. • Understand the customer’s requirements and objectives. • Develop a win strategy including the pricing strategy. • Develop and execute a teaming strategy. GDI Consulting is a leader in providing the highest quality grant writing services. We have many years of experience of providing services to small businesses, non-profits, and governmental agencies, such as police and fire departments. We can meet your grant writing needs with a cost-effective solution, whether you need a team of consultants to produce a very complicated and extensive grant proposal for the Federal Government or state agencies, or a smaller but effective proposal for foundations. Our repeat clients know they can work closely with one of our consultants for the entire length of a project at no additional cost and the quality of our work is guaranteed. All of our grant writers are highly proficient in industry standard writing skills and have core competencies across multiple industries. Our grant writers work together with editors, graphic designers and illustrators, researchers and subject matter experts, and analysts to produce winning grant proposals for our clients. GDI Consulting will help you manage business contracts involving customers, vendors, employees, and more to gain greater visibility and control over your contract management. Our consultants will help you reduce the amount of time needed to create, negotiate, assess, execute, and approve contracts. Our solutions turns even the most complex contract management issues into an efficient and structured process. You can reduce costs and achieve compliance in all your contract-related activities with help from our experienced consultants. Draft a contract using pre-built, approved templates. Initiate the contracting process via automated and self-service requests. Spot changes to terms, causes, and structured/unstructured language in the negotiation process. Store contracts in a secure central repository with advanced search functions. Be alerted to notifications, any milestones, and/or when changes are made and by whom. Analyze contract performance and create detailed reports for auditors and executives. It is a long time that the construction and defense industries have embraced the practice and use of critical path method (CPM) scheduling as a project management tool to plan, coordinate and schedule the execution of their projects. Through the identification of discrete work activities required to complete the project and the relationship of those activities to one another, CPM scheduling allows for the determination of what activities are critical to completing the project, those that must be performed on their early start and finish dates to avoid any delay to the project’s completion. At the same time, for many contractors, having an experienced, full-time scheduler is simply not a reality. GDI Consulting exists to serve those contractors who need a detailed, impressive CPM schedule, but do not have the resources to create one themselves. Whether it is a proposal schedule as part of the RFP requirements, or an extensive baseline schedule coded to USACE standards, GDI Consulting can meet all of your needs and expectations. For many years, we have provided these services to a wide-range of clients, including government agencies, developers, owners, general contractors and subcontractors. We have vast experience on multiple project types including Buildings, Infrastructure, Utilities, and Defense related projects. GDI Consulting helps its customer develop a well-conceived CPM schedule at the start of a project, in order to improve the coordination of all parties involved. A good CPM schedule graphically shows how all activities on the project are related, the duration of each activity, and the effect each activity has on the overall completion of the project. A well-conceived and updated CPM schedule will save significant time and money, and will help avoid or minimize claims on projects. Considering the benefits and potential savings of a good schedule, it is advantageous to have a professional scheduler develop and oversee your CPM scheduling. Leave this to GDI Consulting and concentrate on your other tasks. GDI Consulting uses Primavera P6 Professional Project Management software (now part of Oracle) which is the recognized standard for high-performance project management software. It is also the de facto standard used by USACE. We can also use any other software such as MS Project, CA PPM, and … as required by the client. The essence of architectural and design management is to ensure that work on a project is cost effective, to achieve a balance between profitability and design quality. The realistic evaluation of the design consultants’ capabilities and a coordinated delineation of their scope form a foundation for the design team’s work. As such, their individual contracts are more than legal agreements – they are guiding documents for their collaborative efforts and a fundamental component of their success as a team. GDI Consulting provides project analysis, consultant team evaluation, and detailed scope assignment to avoid many typical conflicts before they start. Active and objective design management of the Architect, Interior Designer, and other primary design consultants is required to meet the measurable goals of budget and schedule without compromising the equally important design expectations for the project. In addition to the Contract Coordination services mentioned above, Design Management services include confirming schedule and staffing, review of design and documentation planning, and active monitoring of the design effort from Concept Design through Construction – with proactive intervention as required. All project teams are different, and in some cases the addition of organized support for a strong Owner, Operator or Project Manager may sufficiently complement an existing design team to assure maximum design value is achieved. GDI Consulting’s services active monitoring of design related communication and tasks, and regular communication with the Owner/Client and Project Manager regarding the progress of the design effort. Government departments and agencies, and the external organizations that work with them, typically have high and specific requirements for the presentation of documents meant for internal consumption and for publication and wider distribution. GDI Consulting understands the needs of government clients for conformity with particular stylistic rules, sensitivity to the use of inclusive language, and above all—for clear communication. We are experienced in editing large government reports and strategic plans, taking them through from manuscript form to a fully proofread, designed document ready for publication. We also have extensive experience in editing policy and economic research documents as well as documents on governmental internal procedures. Our editors are experienced editors and proofreaders who abide with the United States Government Printing Office Style Manual instructions. They have done extensive previous work on government documents and are seasoned on the concerns and issues related to editing and/or proofreading sensitive government documents. We can create custom service packages to help you meet your objectives. We can work to your deadlines, provide everything from substantive editing to light proofreading, apply your house style guide, and handle most major file formats, as well as hard copies. GDI Consulting editors work around the clock, 365 days a year. This means if you are working on a tight deadline, our services can have your document back to you when needed without sacrificing quality. GDI Consulting understands the security and privacy policies involved in working on government documents. We have designed some of the strictest privacy policies accordingly. The Government uses standard vehicles of RFI/RFQ/RFP to purchase equipment and services and to promote competitive proposals among suppliers. Through this competitive process, suppliers offer a wide array of potential solutions and prices and compete with one another to win the business. Buyers evaluate the many different supplier solutions and pick the one that most closely fits their needs and budgets. GDI Consulting has extensive experience in helping government agencies in the preparation of these documents. Through preparation of the RFI, GDI Consulting helps government buyers to determine what is available from suppliers who respond to its requirements. It is also a way for the buyer to determine whether the requested requirements are reasonable and whether appropriate technology is available. GDI Consulting helps buyers prepare RFPs which are formal requests for proposals from suppliers, and such proposals often become part of the resulting contract. An RFP may be the result of a prepared RFI that tested the technical waters, or it may be written based on current knowledge of products and suppliers. An RFQ is essentially a shortened version of an RFP which does not require the supplier to provide a formal proposal. GDI Consulting helps the government buyers use pre-built templates to speed up the RFQ preparation. 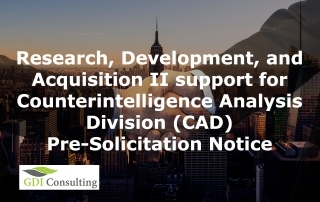 It also provides guidance and any research work needed for the preparation of the RFQ. GDI Consulting provides high-quality data capture, imaging, storage and retrieval solutions. Inbound mail scanning services are about more than capturing and converting data into a digital image. They are about preserving and securing vital information. We help government agencies to reduce the number of documents containing incorrect information, unfilled requirements or other problems, through the use of top of advanced technologies available. A robust portfolio of Managed Print Services can be matched to the specific needs of government agencies on an enterprise scale. This helps you reduce costs, enhance employee productivity, secure data and documents, and achieve environmental sustainability goals. GDI Consulting has worked for countless private and public institutions. The level of satisfaction is inherent in the words, although the numbers above speak for themselves. Since I hired you for my company’s proposal writing needs, the number of contracts that I have been awarded has tripled. With your meticulous attention to details in the proposals you have written for my company and the resulting contracts I am indeed convinced that I have put my money in the right place. We were indeed at a loss as to how to write a winning training proposal for such a large bid ($250 million MATOC) but your company showed patience and diligence and worked with us to create the proper proposal. Your expertise certainly showed off. I certainly recommend you to any company in the training realm that needs proposal writing. I am really surprised by how you turned around this project 1000 times over from a failing project to where it is now, after you were brought in by the Contractor. Your design management service is outstanding and the Primavera schedule is looking good too and we certainly look forward to have you around on our projects. I just wanted to thank you for the energy and time you put in the preparation of my PhD thesis. I can tell that it was certainly a hard task. I had gone to two other companies before you but since my thesis included a lot of specialties such as software engineering, mechanical engineering as well as linguistics, neither of them could take on this project. You on the other hand worked with me to prepare my dissertation and even prepared me for my dissertation’s oral defense presentation. Wonderful job. On behalf of the faculty of the National Polytechnic College of Science, I would like to thank Beth and GDI Consulting for the document management services you provided to our University. Your thorough examination of the requirements, proper attention to document preparations, proofreading and editing of the University documents, and your help in the preparation of the academic documentation all allowed us to have a smooth start for this academic year. I am certainly going to recommend using your services for the next academic year as well. Join Our Satisfied Clients in the Private & Government Sectors! Since 2009, GDI Consulting has been providing proposal and grant writing services to companies, institutions and agencies throughout the country with special expertise in Government and Higher Education sectors. We have also provide contract management (including plans, designs, reports and general document management) to our Clients. Lastly our extensive experience has allowed us to help public bodies, both from the Federal Government down to local state governments, in their document management needs. Our Company is comprised of talented capture managers, proposal and grant writers, and graphic artists who can provide a full set of services to our clients without the need of any third party interaction. Each client is assigned an account manager who will work with the client in all phases of the project, ensuring close communication and proper understanding of the requirements is established. We are always there when you need us and work 24/7 to ensure timely delivery of the documents. Our #1 priority is you, the Client. We believe in the quality of our services and hold ourselves to the highest standards. We truly care about our clients’ requirements as much as they do, which is why we offer a truly professional service. We see each project as a challenge to us and strive to show our best capabilities and qualities in each and every document we prepare. That is why our clients stay with us and use our services on a recurring basis. Let us share our experience in winning proposals and effective grant writings with you.